We typically have small numbers during the Sunday School hour the last Sunday of the year. I also wanted to give our regular, faithful Sunday School leader servants some precious time off. Upon deciding to gather all the ages together, even inviting the youth, we made a way to claim our homes for Jesus in 2014. 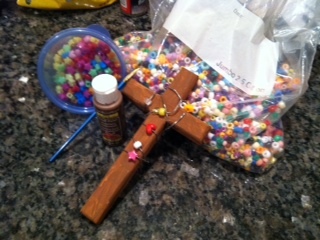 We talked about Jesus’ homes (heaven, stable, cave, heaven) and his beds (manger). We shared about our homes and our beds. We talked about our favorite rooms in our houses. We talked about what we do in each room. When we believe that Jesus is a gift from God who died for the sins of the whole world, God sends a helper to us, the Holy Spirit, to live inside of us to show us the way to please God and share God’s love to help others. WE are the house of the Holy Spirit. ASK: Where do you live? (My house) Where in your house do you spend the most time? What is your favorite room in the house? Love the Lord your God with all your heart and with all your soul and with all your strength. These commandments that I give you today are to be upon your hearts. Impress them on your children. Talk about them when you sit at HOME and when you walk along the road, when you lie down, and when you get up. Tie them as symbols on your hands and bind them on your foreheads. Write them on the door frames of your houses and on your gates. Where do you SIT AT HOME? Where do you WALK ALONG THE ROAD? Where do you LIE DOWN? We brainstorm some creative ways to bless our homes using our sight (hang artwork that honors God), sounds (speak prayers out loud – there is power in the spoken word), touch (physically lay hands on the walls, chairs, carpeting, etc. ), smell (light a scented candle or bring an open orange). 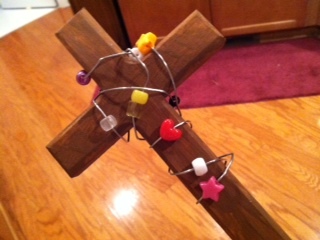 Activity: Wrap crosses with wire and beads to be artwork to hang in your home that honors God. Personal Testimony: I would pray through my kid’s rooms often when they were growing up, especially in middle school. When we purchased a new home, my Emmaus Reunion group came to pray through the house from my son’s bedroom (he asked if it could be the starting place) out to our mailbox on the street. 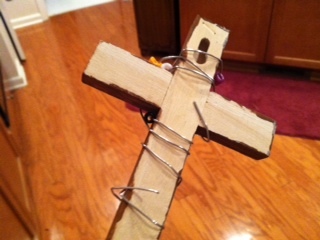 When #1 Son moved into his new place after graduation from college, he asked if I’d come to pray through it, as well. 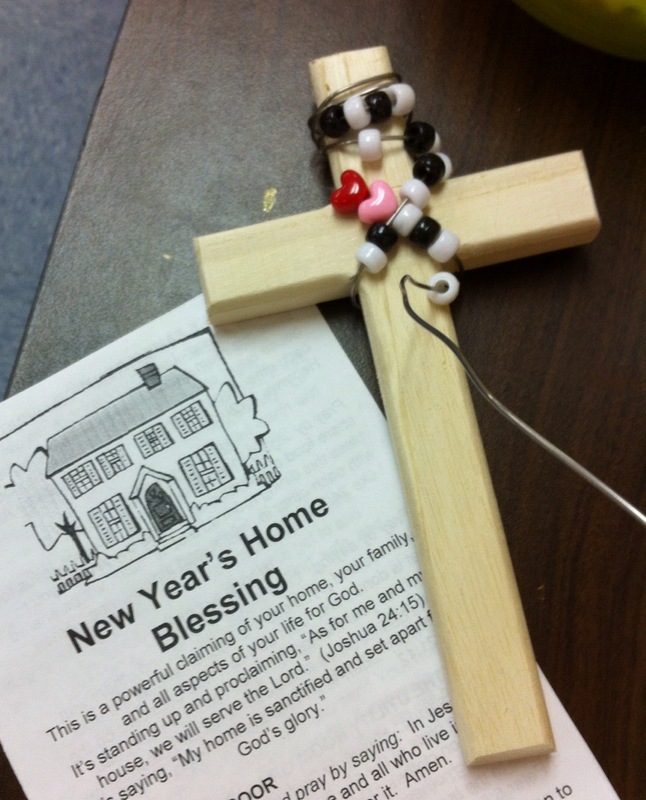 We prepared a pamphlet with short prayers that apply to each room of the house and we read some of those prayers together, out loud holding onto our crosses. If anyone reading this blog would like an electronic copy of the prayers, email me at dedereilly@comcast.net and I’d be happy to share in a Word document. One of the youth shared how she’d just gotten the acceptance letter she’d been waiting for from the college of her first choice. She shared how she plans to pray through her home now and her dorm next fall.